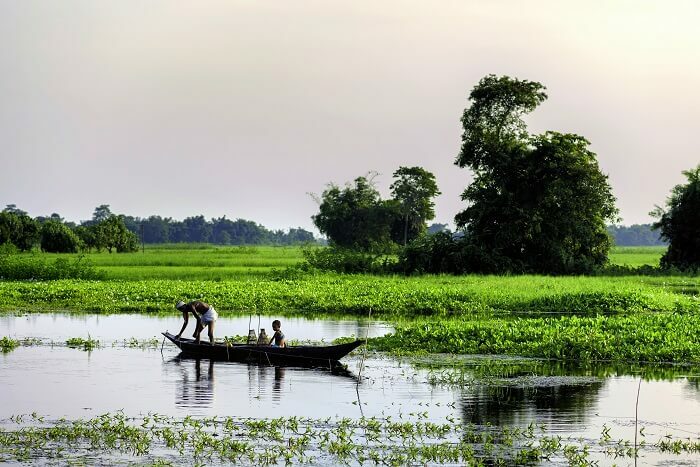 Gift-wrapped with rolling fields of aromatic tea, canoes sailing down the Brahmaputra river, or thick jungles with the most bizarre wildlife, Assam is the most charming state in North East India lying in the wait to be explored. Wondering where to start? 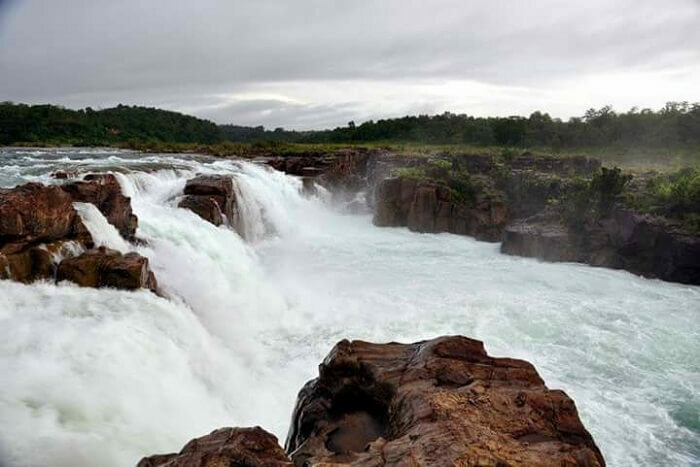 Take a look at these amazing tourist places in Assam to plan your adventure-packed trip to the North East. Grower of the country’s maximum share of tea and home to some of the best wildlife sanctuaries, Assam never fails to overwhelm wanderers with its beauty and tranquility. 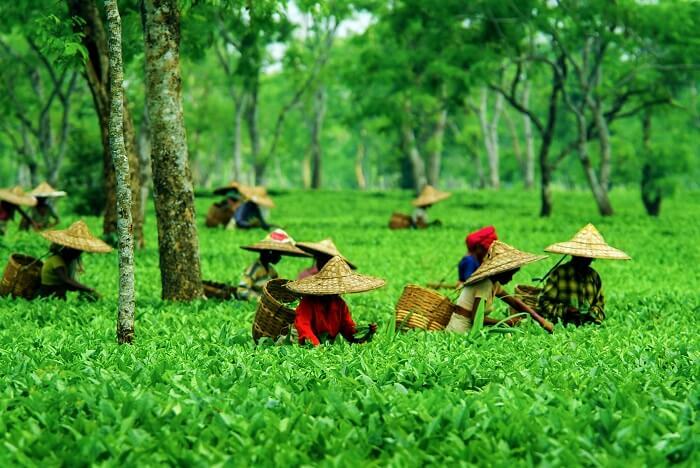 Take a peek at these Assam destinations and what they offer. We’re pretty sure that these will take you by surprise and gift you an impeccable holiday experience. Situated on the banks of the Brahmaputra river, Guwahati is among the fastest growing Indian cities. It’s a gateway to many other places in North East as well as a brimming tourist hub. Everything from the ancient temples, the wildlife sanctuaries, the scenic beauty of the Brahmaputra, and its unique culture give this place some of the best tourist places in Assam. 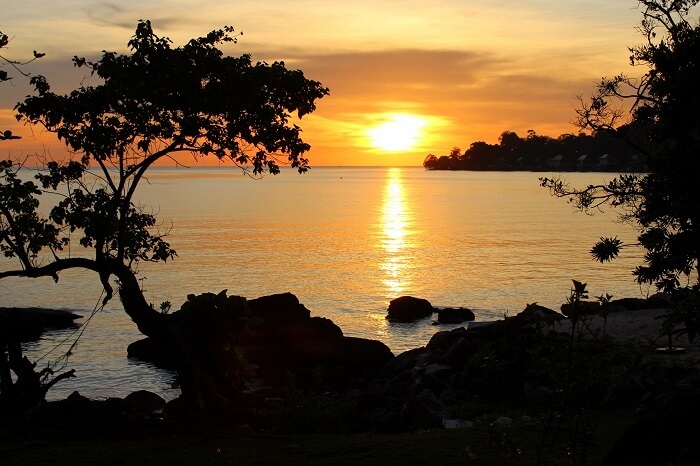 The city has something for everyone – families, backpackers, honeymooners, and more. Must Read: Seven Sisters Of India – An Introductory Guide For A Memorable North-East Tour In 2018! The Kaziranga National Park is home to two-thirds of the planet’s population of the one-horned rhinoceros. Apart from that, this national park is also a World Heritage Site and a major highlight on the Assam tourist places map. 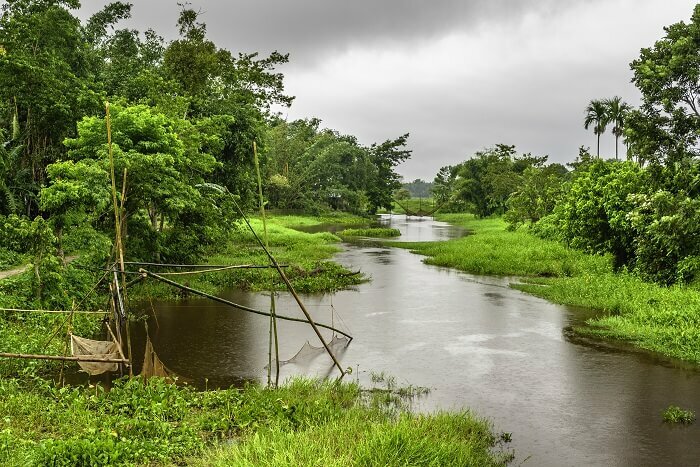 It’s vibrant, well preserved, sustained ecology, and a versatile biodiversity is what contribute to keeping this place on the top of the list of tourist places in Assam. Other than the one-horned Rhino, the park draws its popularity from other pleasant surprises like the Swamp Deer, Elephants, Wild Buffalos, Chinese Pangolins, Bengal Foxes, Gibbons, Civets, Sloth Bears, Leopards, and Flying Squirrels to name a few. It’s also a tiger reserve since it houses an enormous population of the royal Bengal Tigers, making it one of the most important Assam points of interest. The next on the list of Assam places to visit is the Manas National Park, which is a UNESCO Natural World Heritage site, a Project Tiger Reserve, an Elephant Reserve, a Biosphere Reserve all in one, and the best tourist place in Assam! 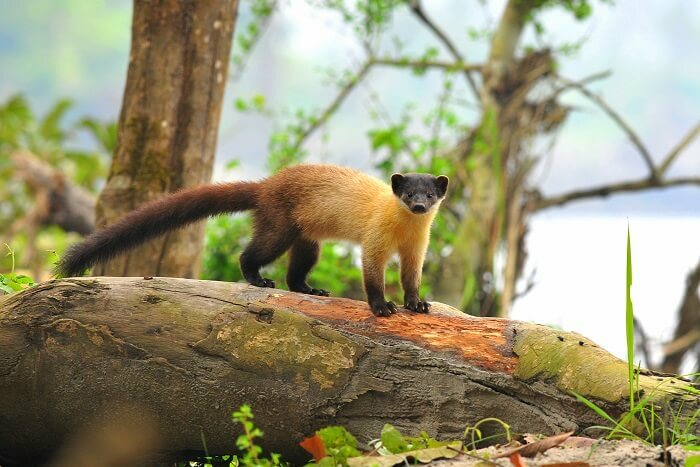 Being famous for the rare golden langur and the adorable red panda, Manas is one of the best national parks in India for those who wish to witness the rare species of India’s flora. It’s one of the best tourist attractions in Assam owing to not only its rich biodiversity but also for its stunning scenery and surreal natural landscape ranging from forested hills, alluvial grasslands, and tropical evergreen forests. Home to India’s second-largest tiger population, it harbours the maximum population of endangered Indian species as listed in the IUCN Red Book. 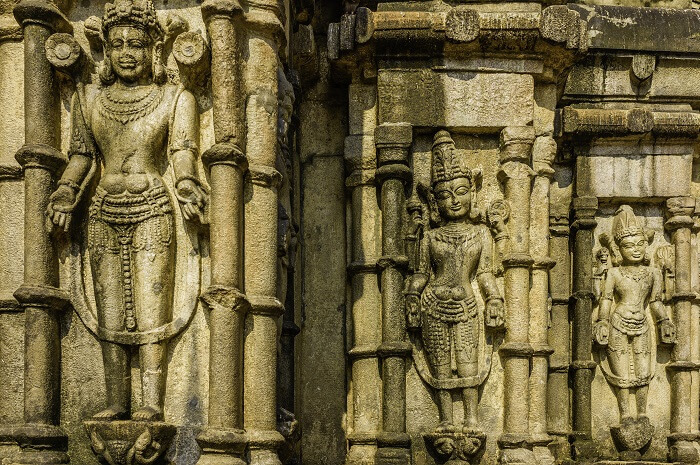 One of the 51 Shakti Peeths in India, the Kamakhya Temple carries a myth to protect devotees from evil eyes. It’s one of the most popular and famous tourist places in Assam for pilgrims and tourists alike owing to its amazing Tantric adoration. Located atop Nilachal Hills, this temple’s main deity is Lord Shiva and Daksha Yagna (Death Incarnation). Tip: Visit at the time of the Ambubachi festival. 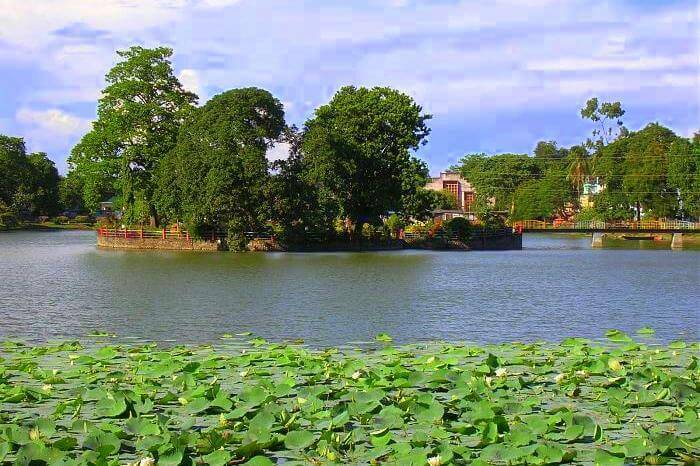 A perfect blend of history, culture, and natural beauty, Jorhat has numerous attractions holding both national and international importance. It draws its popularity from the world’s largest river island – Majuli – located 20 km from this town, as well as the Jorhat Gymkhana Club which is the first to be ever built in Asia apart from being the third oldest in the entire world. Jorhat is undoubtedly one of the best Assam destinations that endow visitors with tremendous scenic beauty and virgin landscapes. Let’s take a look at some of the best tourist places in Assam. Majuli’s eye-warming naturescapes make it one of the top tourist places in Assam. It is the world’s largest riverine island as well as one of the most important Satras established by Sankardeva and Madhavdev. The Majuli islands are spread over an area of around 452 sq km and most of these get submerged under water during the monsoons, leaving the bigger islands like Kamalabari, Auniati, and Garamur on the surface. Apart from having remarkable natural beauty, Majuli is also a birdwatcher’s paradise. A holiday in Assam is incomplete without seeing one of the most beautiful places to visit in Assam. Located less than 20 km from Jorhat city center, Gibbon Wildlife Sanctuary is a haven for Assam’s Hoolock Gibbon population. Surrounded by the Brahmaputra river on one side and tea gardens on all others, this wildlife sanctuary is among the best spectacles of Assam sightseeing for wildlife lovers and nature seekers. 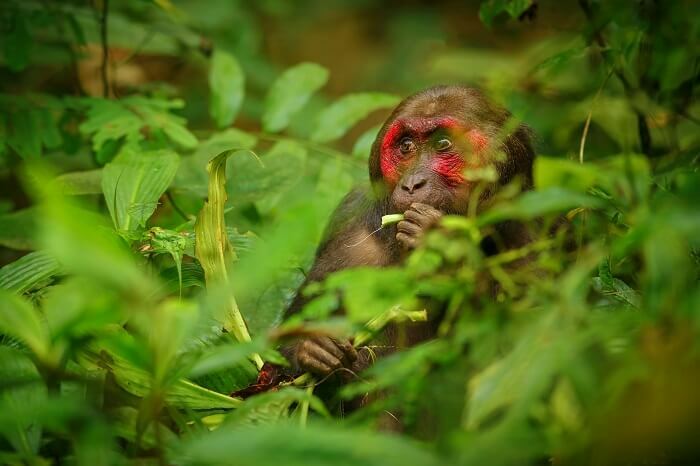 Other than over 40 species of Hoolock Gibbons, this enclosure houses Capped Langur, Stump-Tailed Macaque, Pigtail Macaque, Assamese Macaque, Rhesus Macaque, Slow Loris, Elephants, and so many more species of animals. Cascading down furiously between the rubber and coffee plantations of Jorhat, the Kakochang Waterfalls are a magnificent wonder of nature. 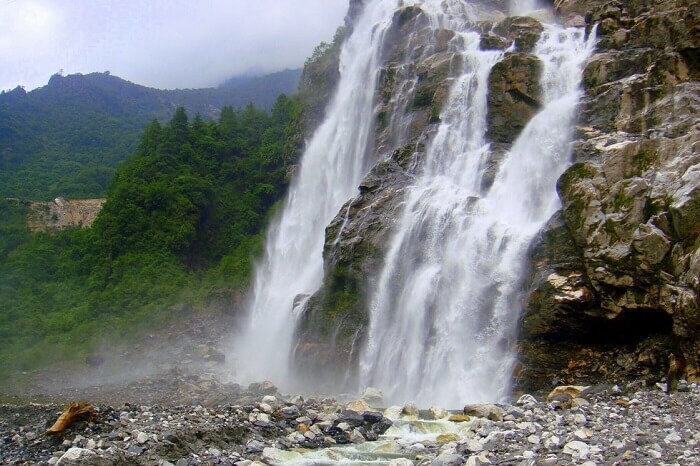 The main waterfall is located 13 km from the Bokakhat in Jorhat and attracts tourists in great numbers year round. Apart from providing a refreshing retreat and a great subject for shutterbugs, this waterfall gives splendid views of the ruins of Numaligarh and lush green tea plantations. Located close to the Kaziranga National Park, Kakochang is among the must visit Assam points of interest. Established in 1911, the Tocklai Tea Research Centre is among the largest and oldest tea research stations in the world. All the scientific knowledge that the world holds about tea, has come from this center in Assam. 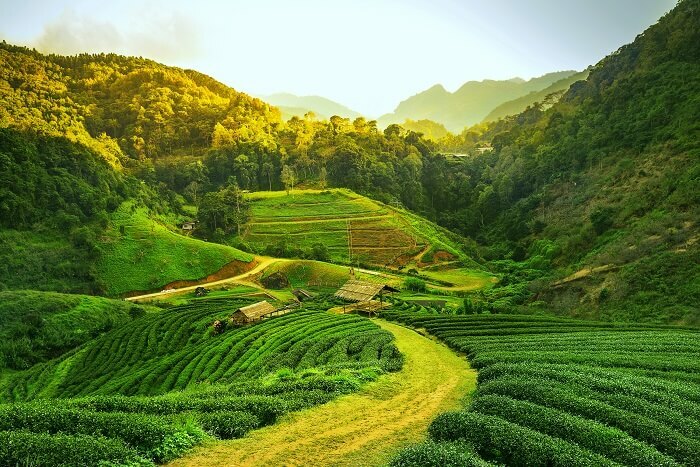 Various researches on the extraction, cultivation, and processing of tea are conducted here day after day in order to enhance tea’s nutritional value. The center is among the best places to visit in Assam owing to its regular tea processing tours and tasting tours it holds for visitors. Proudly boasting off its tag of the most beautiful city in Assam, Tezpur is bathed in unmatched scenic natural beauty and a resonating cultural vibe. The Brahmaputra river flows right through this city and further adds to the beauty of this place. It’s the undisputed cultural hub of Assam owing to its theatres, traditional dances, and cultural events. Apart from that, the sprawling tea estates around the city are like a cherry on the cake! 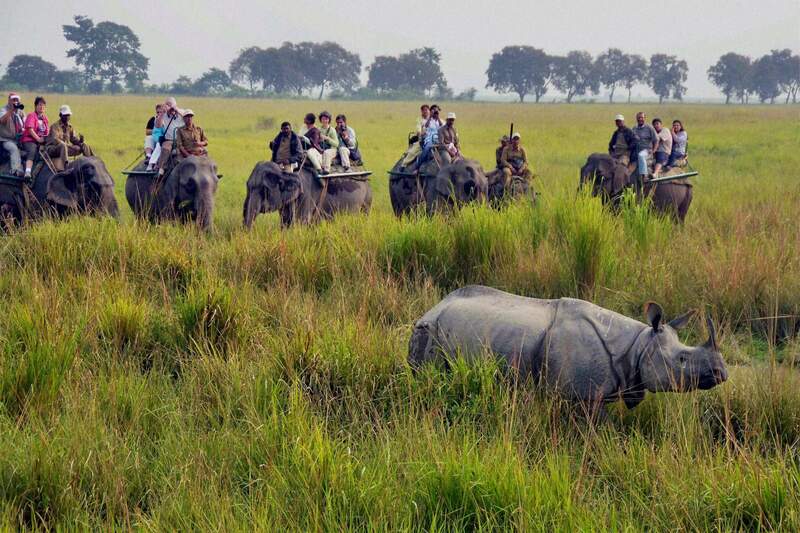 Famous for its royal Bengal Tigers, Elephants, and other animals including Leopards, Gaurs, Wild Pigs, Sambars, and more, the Nameri National Park is among the most adventure-packed Assam places to visit for thrill seekers and wildlife fanatics. Apart from its fauna, Nameri also has a large population of avifauna which makes it a bird watcher’s paradise. One of the best things to do in Assam while in the Nameri Sanctuary is to embark on a dauntless safari down its lush thickets and dirt tracks. 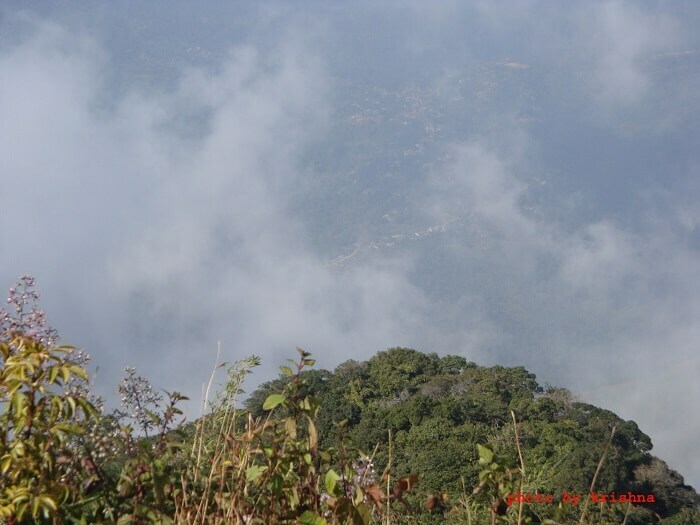 Other than the wildlife, the rich fauna and the evergreen vegetation also tends to enchant visitors. A stop at the Nameri river will let you spot a variety of fish, including the Golden Mahseer which is known as the “Tiger of the Himalayan rivers”. Tip: Apart from safari, one can indulge in activities like river rafting, fishing, and swimming (via prior permission). Hazara Pukhuri and Padam Pukhuri are a pair of tanks positioned in the vicinity of the Bamuni Hills. 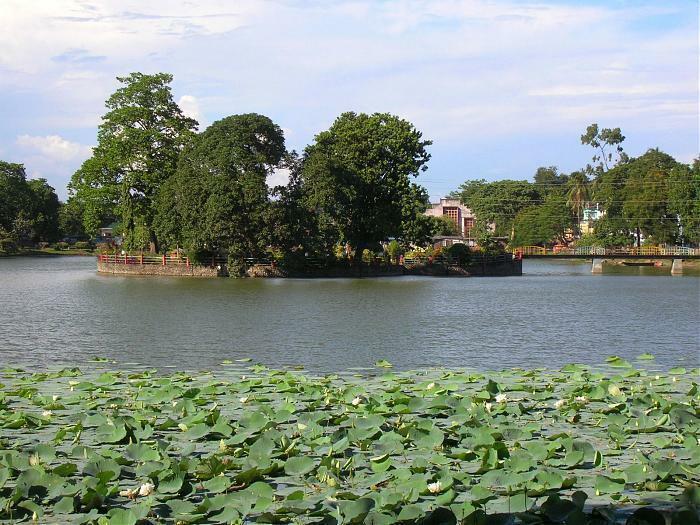 While Hazara Pukhuri is recognized as the third largest artificial lake in Tezpur, the Padam Pukhuri is an island park famous for lotuses. 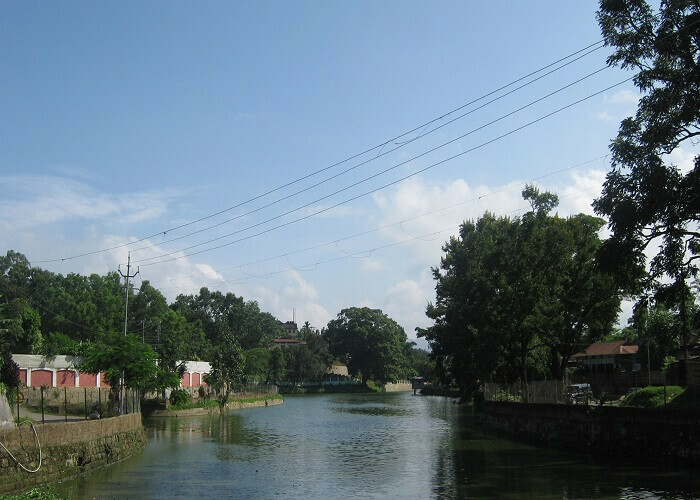 Created from an archaeological excavation in the early 19th century, this pond contributes to the cool and breezy atmosphere of the city and is among the most popular historical places of Assam. 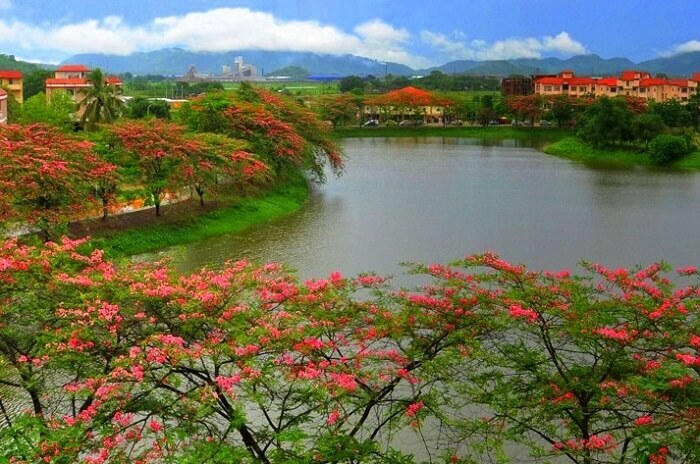 When here, one must not miss out on the rejuvenating experience on walking on the bank of the pond and witnessing the park’s musical fountains, toy trains, and the iron bridge. A dreamy town set in the oscillating hills and lush valleys of Dima Hasao, Haflong is often referred to as the “Scotland of Assam”. Enriched with stunning hills, lofty terrains, and a sparkling lake, Haflong is among the best places to see in Assam for camping enthusiasts, hikers and trekkers, and peace seekers. The Haflong Lake is undoubtedly the most beautiful lake and best tourist place in Assam, India. Located in the heart of the city, this lake is the perfect tourist spot that offers travelers the chance to indulge in watersports, boating, fishing, and even bird watching owing to the thousands of migratory birds that take refuge here in winter. Well-maintained and clean, the lake falls under the protection of the Dima Hasao Tourist-Forest Department and Dima Hasao Autonomous Council. One of the most famous tourist attractions in Assam, this attraction is popular for thrilling activities like paragliding & trekking. Surrounded with a mesmerizing aura, this is a beautiful hill that’’ sweep you off your feet. The view of the mountains around and the lush greenery offers a perfect opportunity to up your Instagram game. Despite being situated over a 100 km away from the town, this waterfall is one of the major attractions in Haflong. If you’re a movie buff and that entices you more than nature, you’d be glad to know that a few shots from Rangoon were shot here. So, just pick your camera and make sure you stop by here for capturing a few of your own special moments. Excited? Plan your Assam holiday with TravelTriangle right away and go make memories in the stunning landscapes of the North East with your loved ones. Know of any more tourist places in Assam? Pop them in the comments below and we’d definitely help the other travelers know.